Be The Change: Looking for Executive Board and Chair Positions! Hello everyone! We are Be The Change, a new student organization. Our goals are to provide healthcare services and education to children in under-served areas, whether in far off countries like India and Peru to even Temple's neighbors of North Philadelphia. Our primary objective is establishing a successful, annual Children's Health Fair for the North Philadelphian community surrounding Temple, but we also do have interest in Peru and India. We have set up overseas coordinators who will allocate the funds and organize work/supplies based on the local areas needs. Our work internationally will consist mostly of fundraising and spreading awareness of world health issues. Doesn't matter what major or interest, all can apply. We'd love to see some underclassmen get involved. Upperclassmen as well, of course. Just be ready to work hard and BE the change! P.S. If you have any questions, send us an email! So how do you stand out in a job interview? How do you make a meaningful and lasting impression? How do win over the employer and get the job you want? NAAAP Temple and Temple ASA bring you a panel of speakers from one of the world’s largest investment management companies, Vanguard, to provide expert advice on how to ace your job interview! They will be discussing the best interview practices -- how to prepare, what not to do, how to conclude with questions and how to follow up. Following the discussion and Q&A, you will also have a chance to network with the seasoned professionals and make great connections! *FOOD will be served at the event. 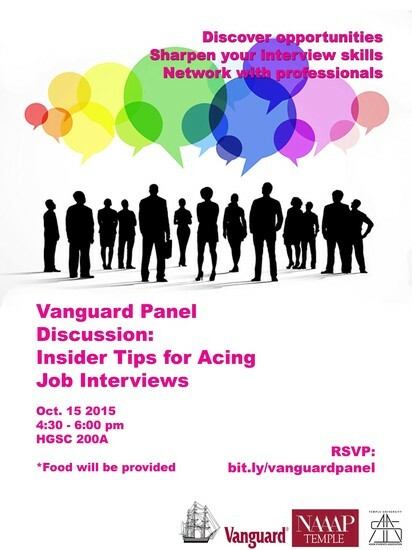 Discover opportunities, sharpen your interview skills and network with professionals! *NAAAP Temple is a collegiate chapter of National Association of Asian American Professionals - Philadelphia. Our mission is to empower minority students at Temple University with the knowledge, resource, and network to embrace a successful career post-graduation. contact us at NAAAPTemple@gmail.com if you have any questions. Student Org Shout-Outs are sent out every Monday, and they are a great way to advertise meetings, events, and general announcements about your student organizations. Interested in being featured? Email honors@temple.edu with the information you want to share! Submissions are due by the Sunday before the shout-out. 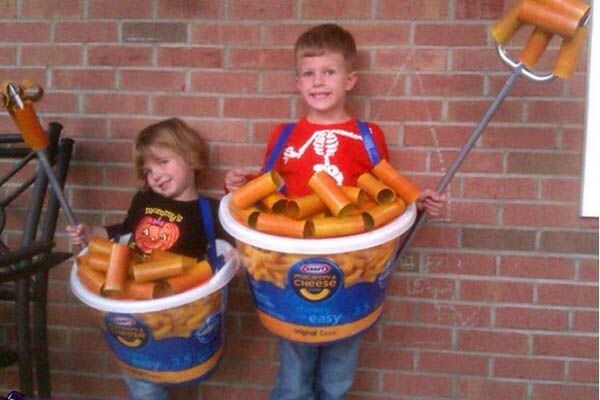 Easy Mac is a great Halloween costume!